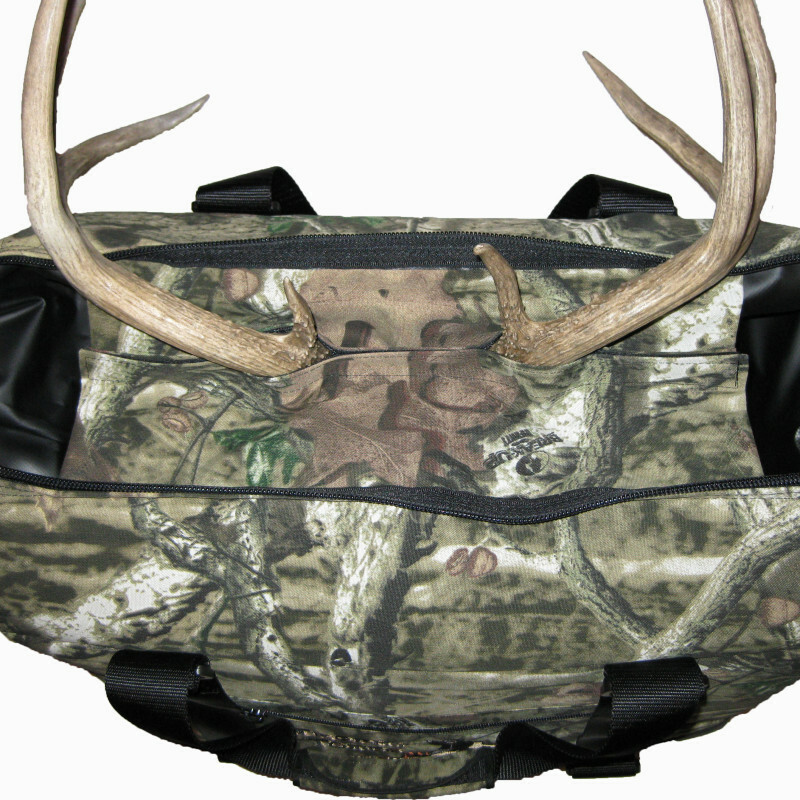 Trophy Totes® is a soft-sided cooler designed to transport the head and cape of an animal from the place of harvest to the taxidermist for mounting purposes. 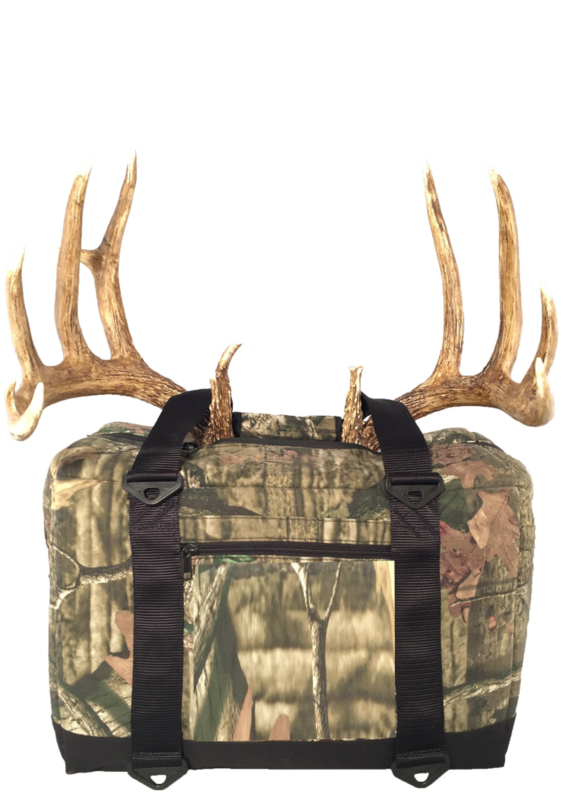 It features insulated flaps that seal around the base of the antlers to shield from heat and lock in the cold, protecting your trophy until its final preservation. 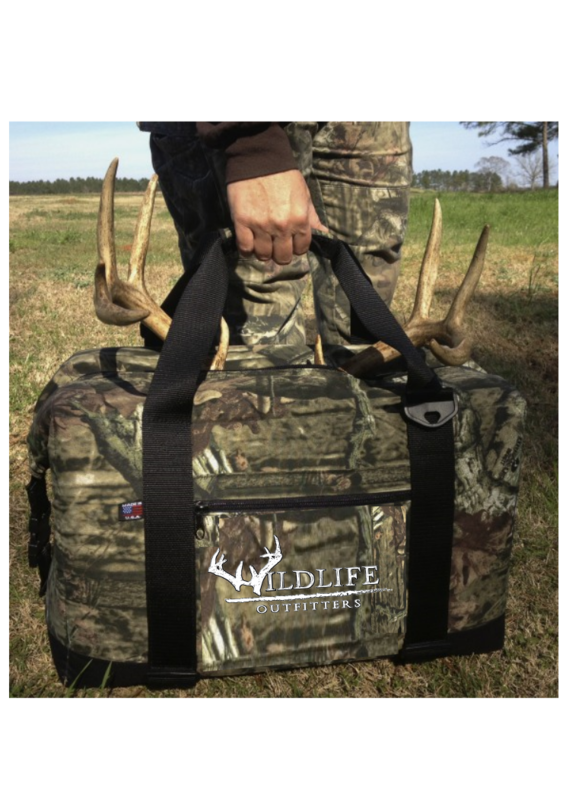 All Purpose / All Season Cooler Trophy Totes® isn’t just a deer cooler or hunting cooler that you’ll only use 3 months out of the year. 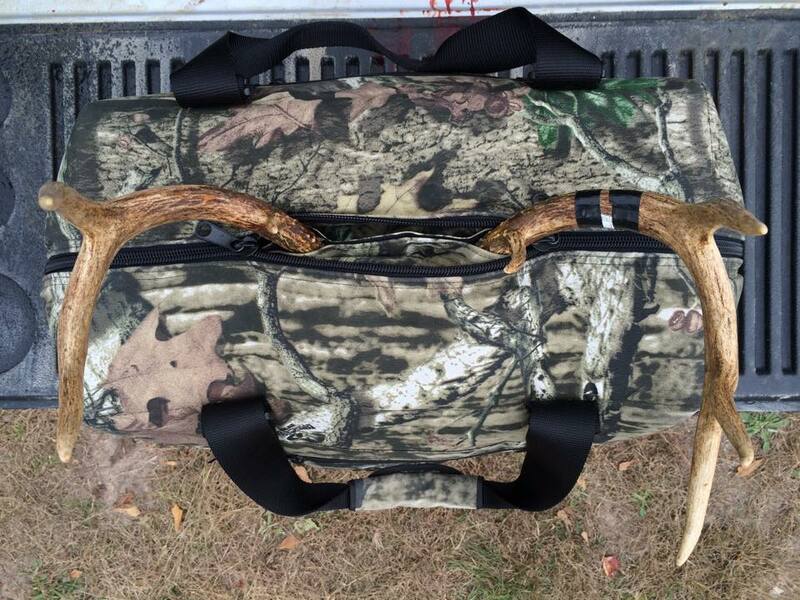 You’ll soon start using your Trophy Totes® instead of your traditional ice chest. 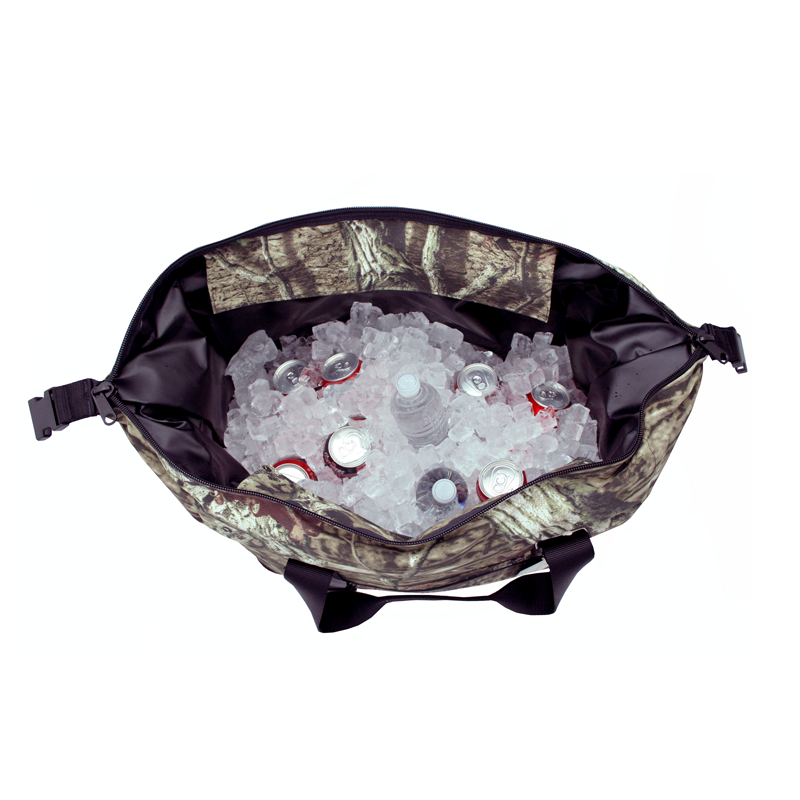 On the beach, at the lake, at sporting events, or on family vacations, you’ll be amazed at how long your ice will last in your Trophy Totes® soft-sided cooler! Taxidermist Approved Ask your local taxidermist about epidermal and hair slip. They’ll be quick to share with you the many stories of damaged capes they’ve seen over the years. When heat and water come in contact with the deer’s cape, bacteria forms causing the hair to loosen and fall out. This creates the bald spots that you sometimes see on a mount. 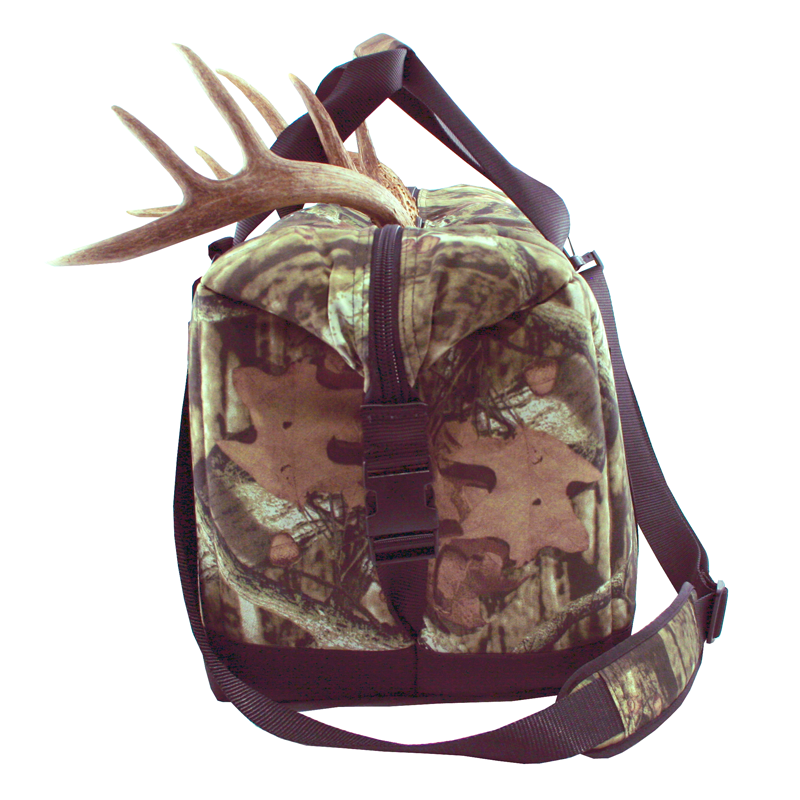 That’s why taxidermists highly recommend Trophy Totes® for serious hunters. Not to mention the hassle, but have you priced a replacement cape? 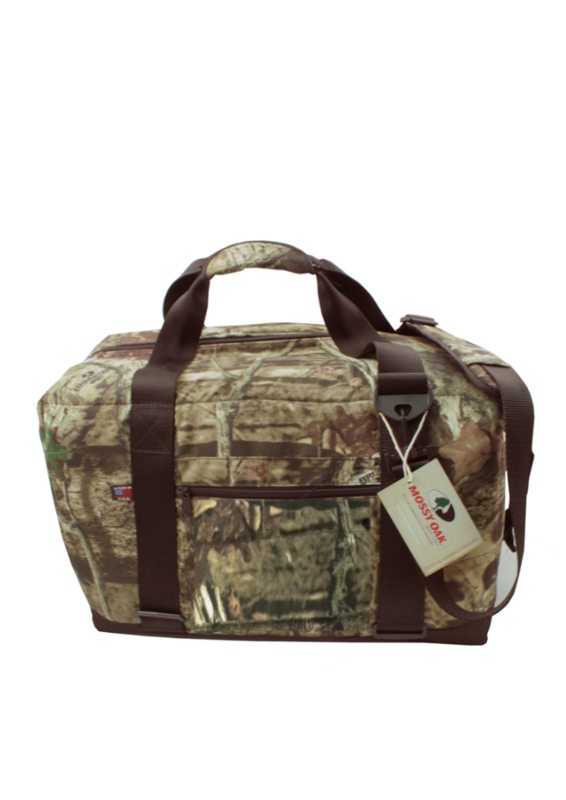 Ultimate Hunting Accessory Trophy Totes® make a great gift for the outdoorsman who seems to have all of the hunting gear, hunting equipment, and hunting supplies imaginable. 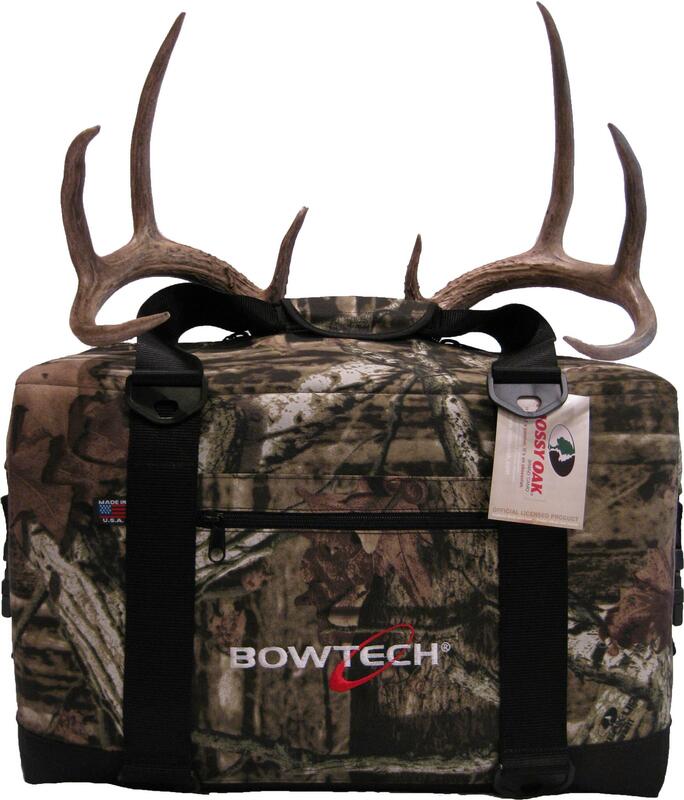 Our deer coolers give the hunter the flexibility to pack light, yet still be prepared. 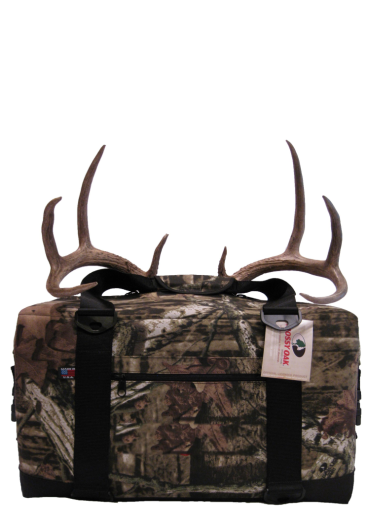 No other product on the market can be used as both a trophy deer cooler and a traditional cooler. High Performance Materials The inside of Trophy Totes® are insulated with 1″ thick poly products and are covered with a heavy-duty liner that is welded so it won’t leak like other soft-sided coolers. We added insulated flaps that form a seal around the base of the deer antlers to help maintain the ice. 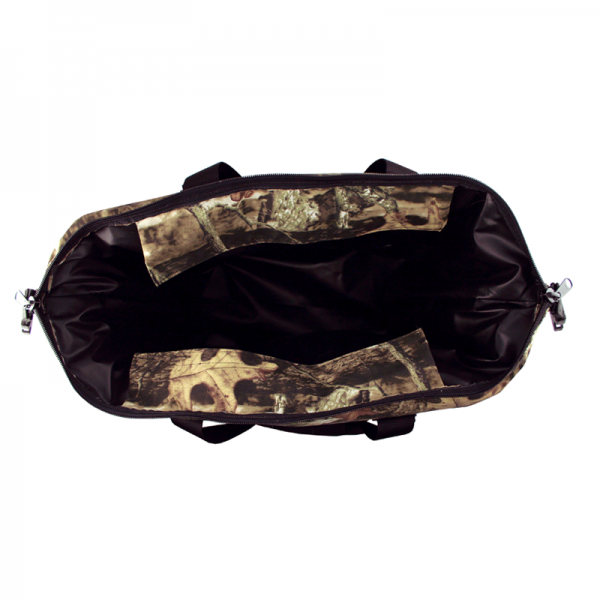 Trophy Totes® are Mossy Oak® licensed products and have the latest in camouflage patterns. Customizable The pocket zips off so it can be easily embroidered with your name or business logo.